Good morning everyone, hope you are well :-) I am here with my creation for our Anything Goes challenge at Crafty Ribbons. This is why I love the ribbons at Crafty Ribbons-you can make fabulous themed projects just by adding some printed ribbon and matching button sets :-) I chose a thick canvas type fabric in a nautical stripe print to pair with the Nautical Ribbons and matching buttons. I made a little case for the little devices we all have-I like to look after them very well so a sturdy padded case is really useful :-) I used the fabric, ribbons, buttons and some quilting batting. I made my own pattern by measuring my device and making the case with this in mind. 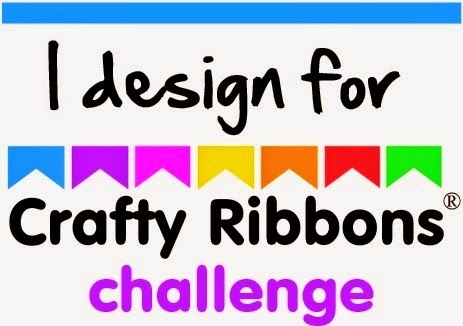 I would like to enter this into the following challenges: Make My Monday: Anything But a Card My Craft Creations: Anything Goes Challenges 4 Everybody: Anything Goes Pile it On Challenge: Ribbon Thank you for looking and for all your lovely comments! Good morning everyone, hope you are well :-) I am here with my make for our Man Up challenge at A Little Bit Crafty! For this project I used Mister Hueys Spray inks, Memento, Embossing powder. I started by making my own backing card stamping in brown memento with a script stamp and pocket watch stamps by Visable Image. I then sprayed over this with the inks, then cut notches in the edges and ripped and folded it too. I made my main images by embossing these same pocket watches with time aged embossing powder. I mounted this on kraft card and left flashes of this under the backing card.